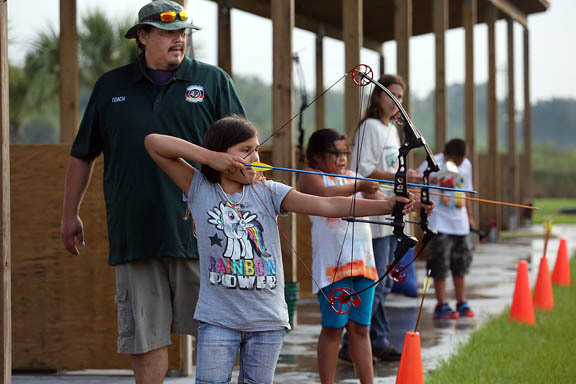 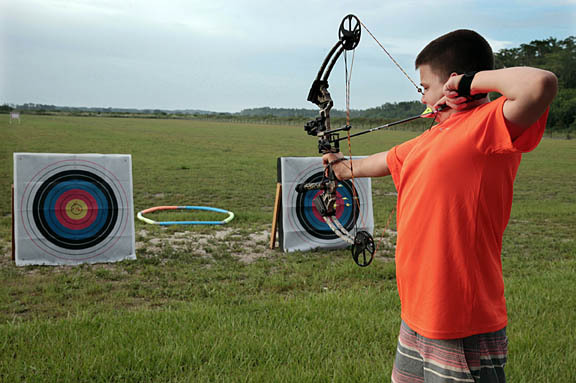 BIG CYPRESS — About a dozen young archers showed their skills and learned new ones June 26 at an archery tournament on the Big Cypress Driving Range. 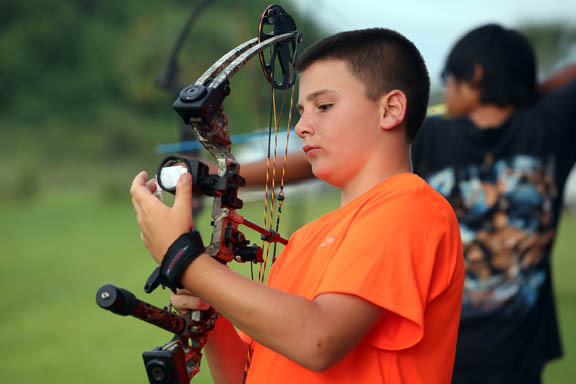 The tournament was the culmination of archery lessons given by the Recreation Department throughout the year and was the last event until classes resume in the fall. 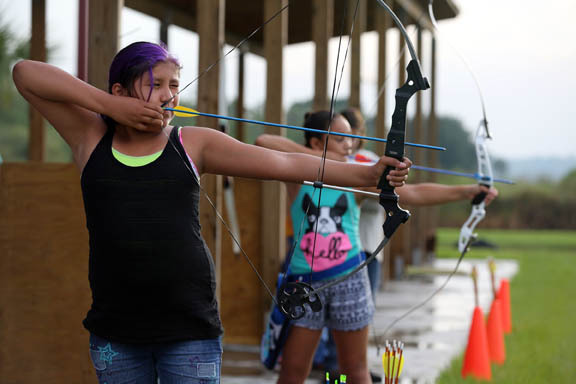 After a long delay because of a thunderstorm, the tournament began just before dusk. 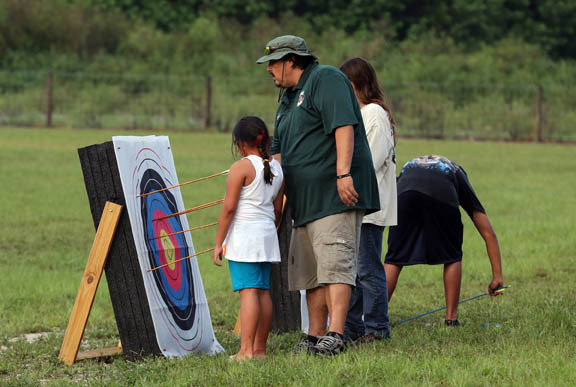 Kids competed in a variety of events, including standard targets, balloon pop, 3-D range with animal targets, the William Tell, which included a Styrofoam head and an apple, and skee-ball, a target with four small bull’s-eyes in the corners. 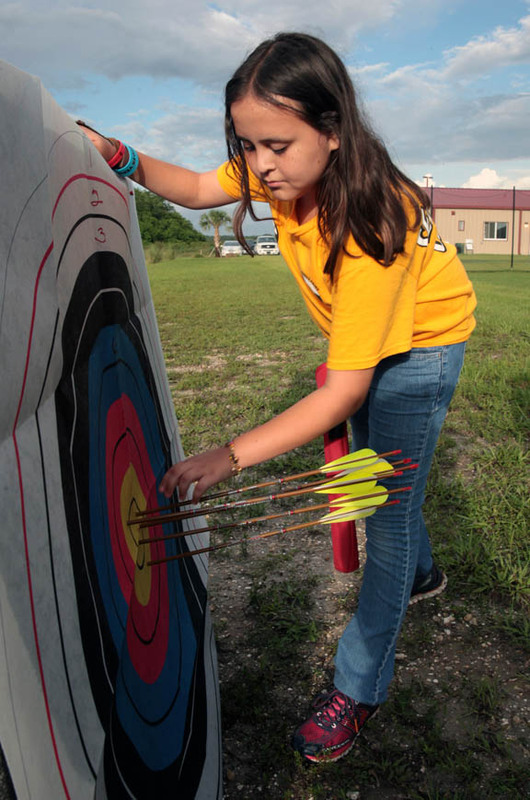 Competitors used compound and traditional recurve bows, but sights were not allowed during the competition.